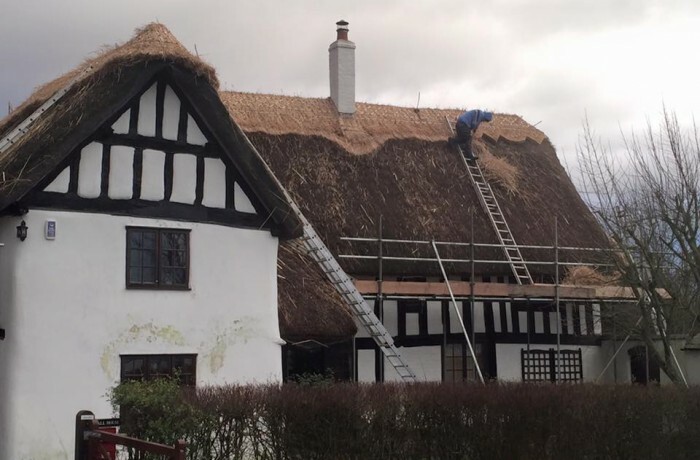 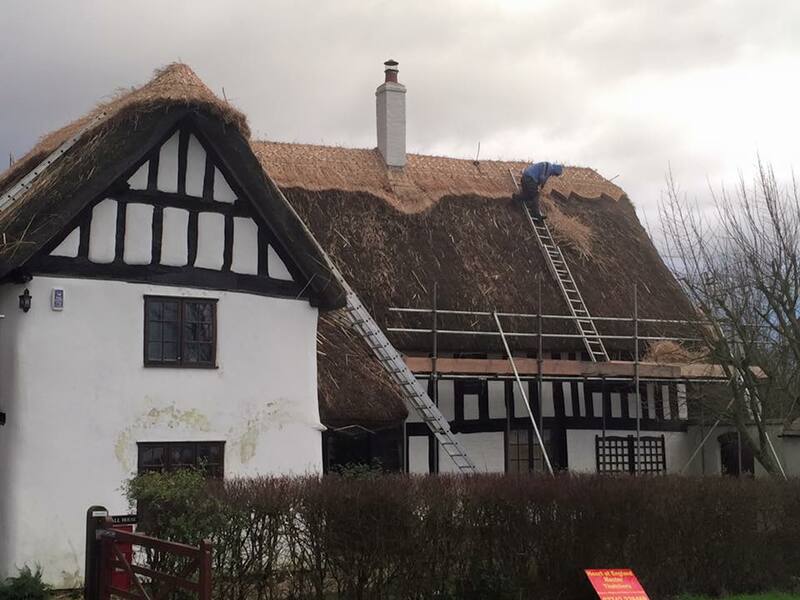 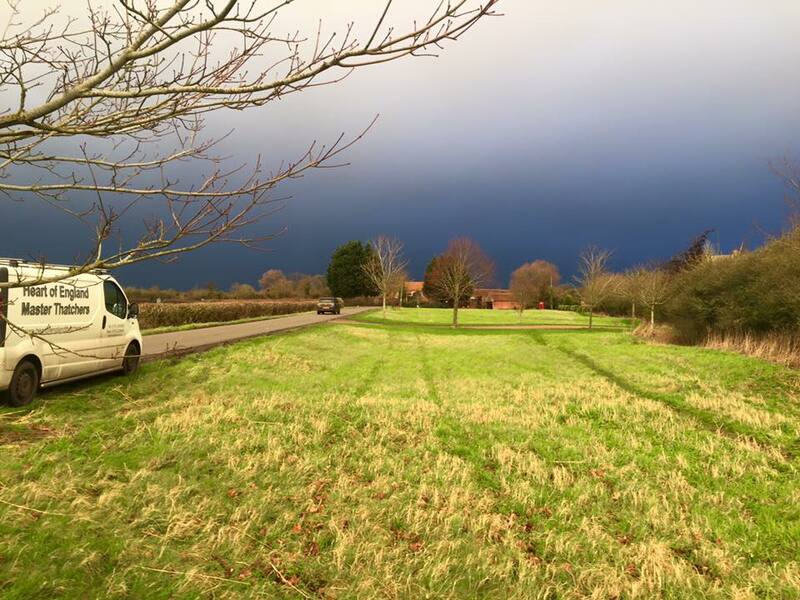 We work in all weathers, sometimes are tougher than others but we are very grateful that we managed to get the thatched re-ridge completed just before the storm hit! It was a re-ridge of a property in Warwickshire. 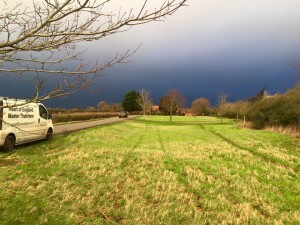 Gary worked his magic as the storm brewed in the distance.